Lots of scales, their notes or chords in triad or extended forms, with lots of chord progressions with ability to create custom ones, under your hand. 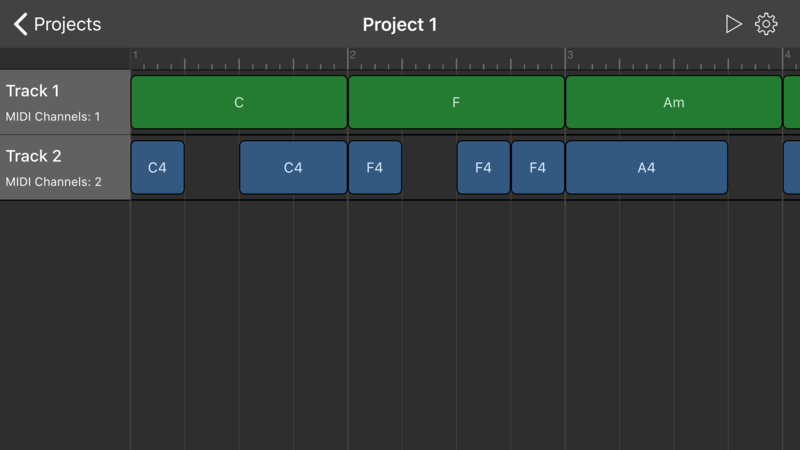 ChordBud is ultimate song writing app with super simple usage. It does not generate sound but has built-in MIDI Sequencer that send MIDI to outside of the app. You can work with up to 16 different tracks. 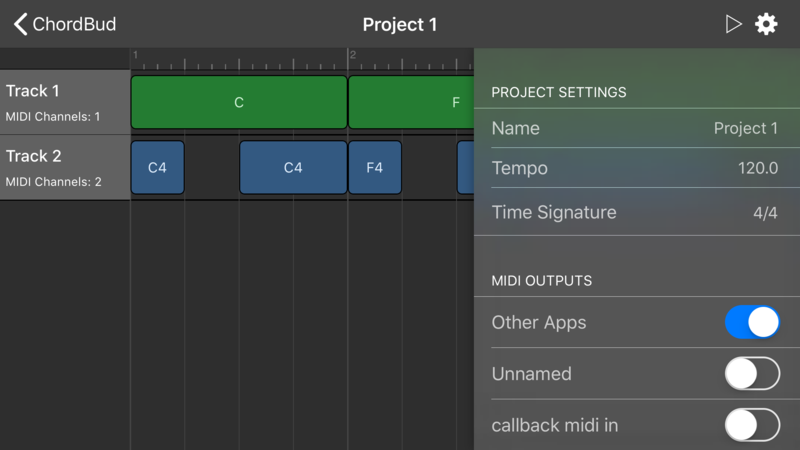 Assign different MIDI channels to them. 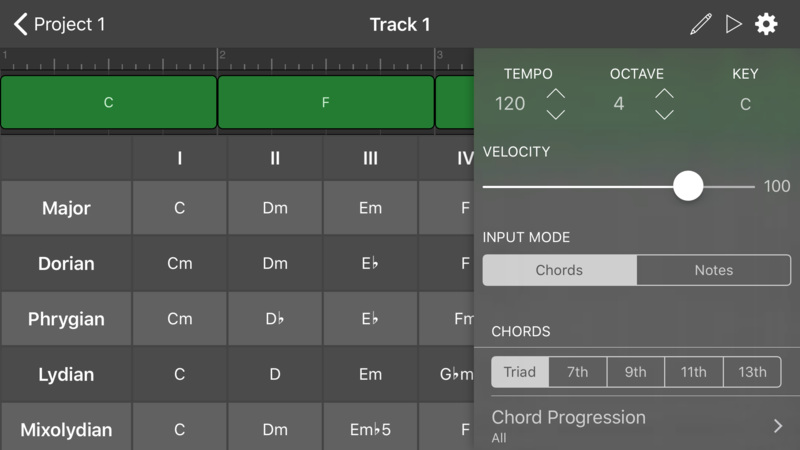 Since the ChordBud is not generate sound, even better it can send MIDI to other apps in your iOS device, connected hardware or CoreMIDI enabled software on your Mac or PC via network session. You can choose the MIDI outputs from project's settings. Press the play button on project screen to listen all your tracks. Press the play button on track screen to listen just your track. 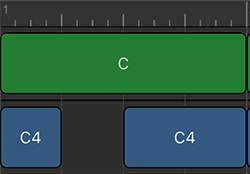 Also, you can assign different MIDI channels to your tracks from track settings menu. 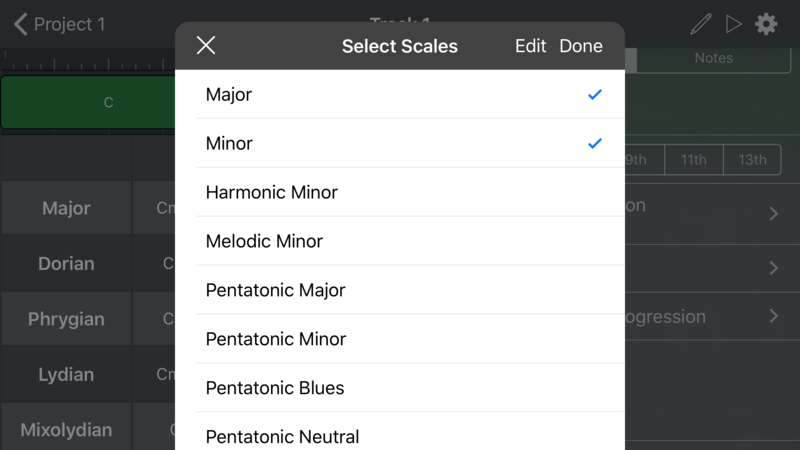 There are lots of scales you can select, reorder and work with. Billions of modal interchange possibilites under your hand. You can see the chords or notes in the scale's harmonic field. 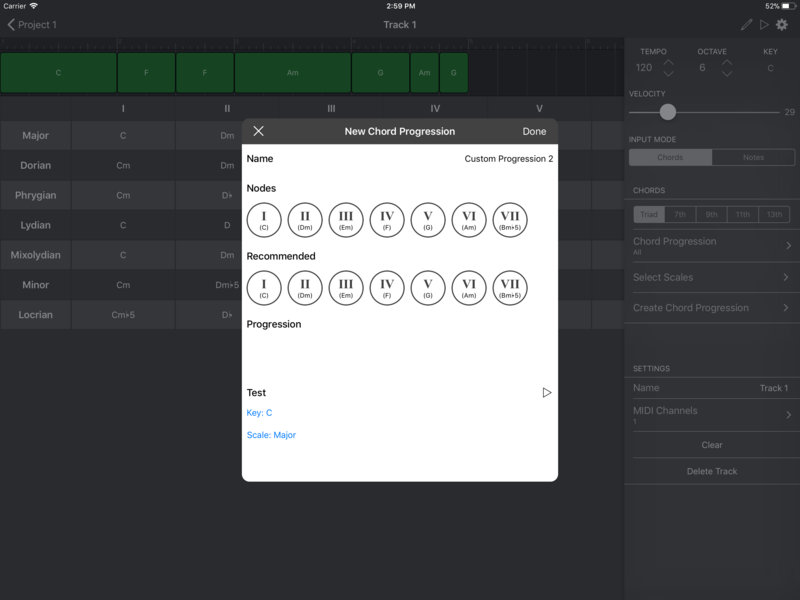 You can either select one of built-in chord progressions. They are most common progressions from classical to modern songs. Or of course, can create your very own. There is also a recommendation tool that helps you to build your custom progression. You can either work with notes or chords. 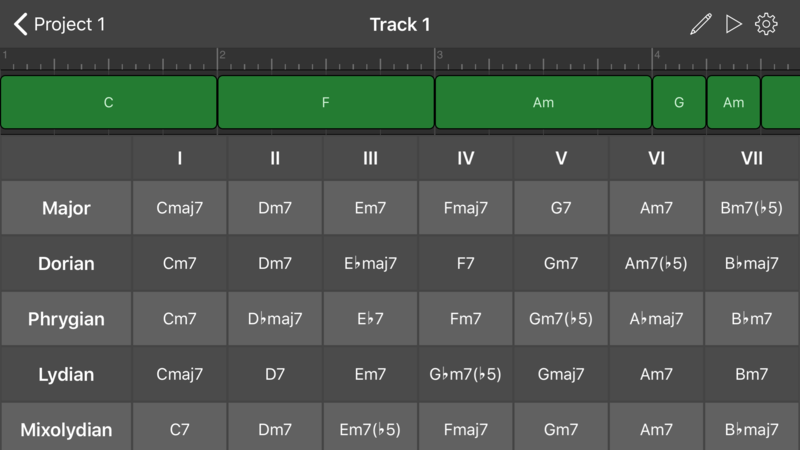 Select notes input for creating matching melodies or bass lines with your chord progressions. Also, you are not limited with triads. You can work with 7th or even extended chords. There are billions of possibilities. ChordBud offers its core componets on Github. 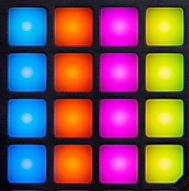 AudioKit powered MIDI sequencer with no hassle. Fully custumisable and editable time table view for MIDI or audio related data display.